CryptoLogic Limited, a global developer of branded online betting games and Internet casino software, announces the launch of a new gaming package, Instant Click, which has been licensed to Tain, a leading provider of egaming technology infrastructure based in Stockholm and licensed in Malta. Instant Click is the latest innovation from CryptoLogic that enables rapid deployment of a range of titles from its complete suite of more than 200 online games, by online operators and technology providers on their own e-gaming infrastructure and electronic cashier systems. As a result, CryptoLogic’s Instant Click package can now be integrated and made available to players in just a few weeks. Tain, whose egaming platform is used more than a dozen prominent online operators, is the first company to license Instant Click for an initial three years. CryptoLogic will derive a share of wagering revenues generated by its games, in line with its existing business model. Instant Click is a technology platform provider’s dream. It enables CryptoLogic’s highly sought-after games to be rolled out to the online player community swiftly by leveraging operators’ existing infrastructure at little additional cost. As a result we are hugely excited to introduce this product to our customer base. Instant Click has been designed in response to market need and is a solution for online operators who want CryptoLogic’s innovative gaming content but do not require its full hosting casino platform. Its launch not only boosts CryptoLogic’s addressable market but also complements our branded games licensing strategy. For the first time in the Company’s history we now have a range of products that suits the needs most operators worldwide and enables them to differentiate themselves with the adoption of our proven content. Focused on integrity and innovation, CryptoLogic Limited is a leading public developer and supplier of Internet gaming software. Boasting more than 280 games, CryptoLogic has one of the most comprehensive casino suites on the Internet with award winning games featuring some of the world’s most famous action and entertainment characters. Its licensees include many of the world’s best known Internet gaming brands including the “big four” international operators. Its leadership in regulatory compliance makes it one of the very few companies with gaming software that is certified to strict standards similar to land-based gaming. WagerLogic® Limited, a wholly-owned subsidiary of CryptoLogic, is responsible for the licensing of its gaming software and services to blue-chip customers that offer their games to non-U.S. based players around the world. For information on WagerLogic, please visit www.wagerlogic.com. 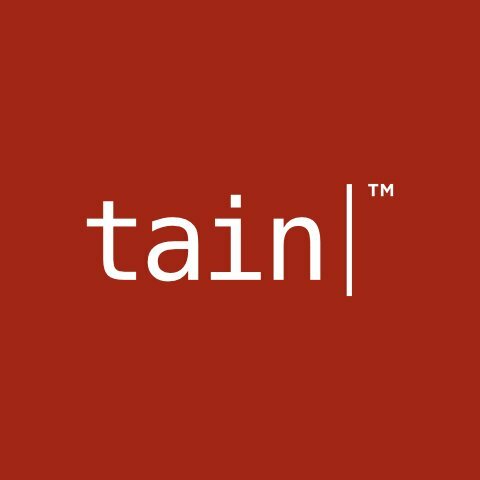 Tain, founded in 2001, is a proven gaming infrastructure software provider that provides products to a number of casino and poker operators. Products include Tain Commons Platform (TCP) – a back office platform with seamless integration to a number of gaming systems, and Tain Payment Gateway (TPG) – a top tier payment gateway supporting 20+ payment methods. Tain Operations, the operational arm of Tain AB, offers a full range of hosting and support services in multiple jurisdictions including Malta, Kahnawake and Curacao. Currently seventeen operators are live using the Tain TCP/TPG systems.